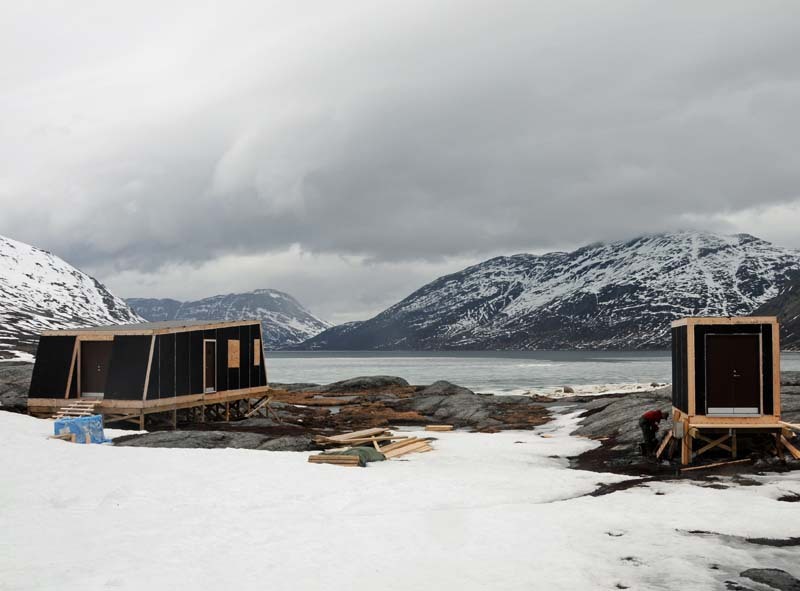 The fieldstation in Kobbefjord under construction. Fieldstationen and house for the generator. 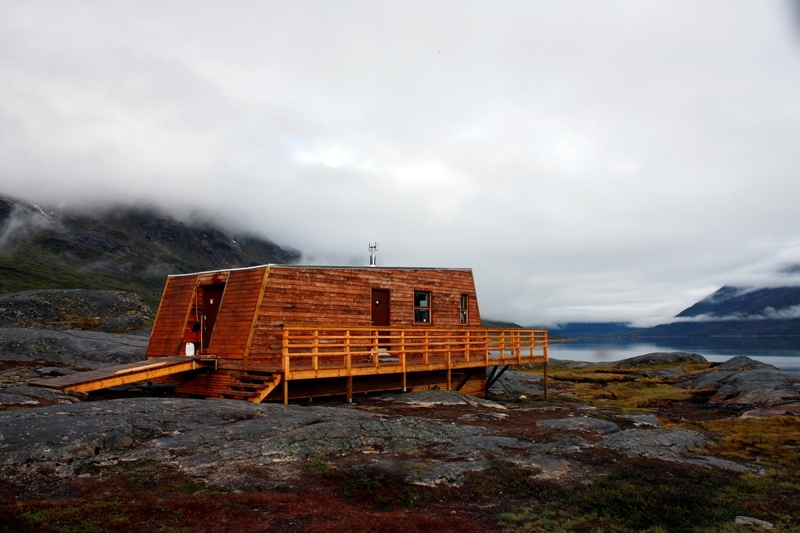 The Fieldstation is donated by Aage V. Jensens Foundations, that also has granted money for the boat Aage v. Jensen II, used for transport between Nuuk and Kobbefjorden.